Seborrhoeic dermatitis is a common, chronic and quite uncomfortable skin condition. It occurs with the formation of yellowish scales on the scalp or face although it may sometimes affect other parts of the body. Proper and regular use of deep penetrating, thicker creams can control this condition, which, unfortunately, lasts for a lifetime. The list below will show you the best seborrheic dermatitis creams to moisturize your face and body skin, reduce the redness, scaling and irritation. 2.1 Can seborrheic dermatitis be treated? 2.2 How is seborrheic dermatitis treated? 2.3 Can homeopathy cure seborrheic dermatitis? 2.4 How long does the seborrheic dermatitis treatment take? 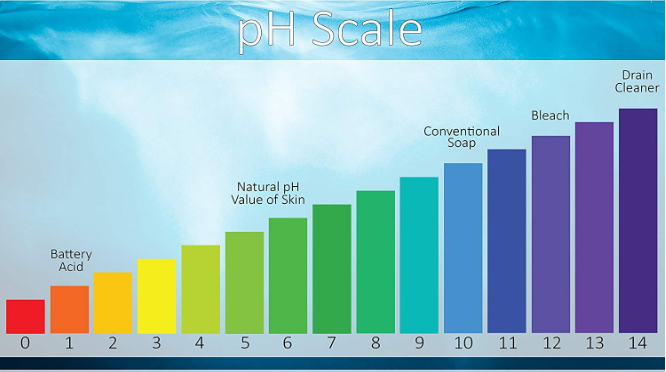 2.5 Is hydrocortisone good for seborrhea? The effective seborrheic creams provide long-lasting moisturization and protection to your sensitive and irritated skin. Below you can find formulas with a proven effect on the control of the condition. They contain effective compounds for deep penetration and regeneration of the epidermal tissue (skin’s uppermost layer). 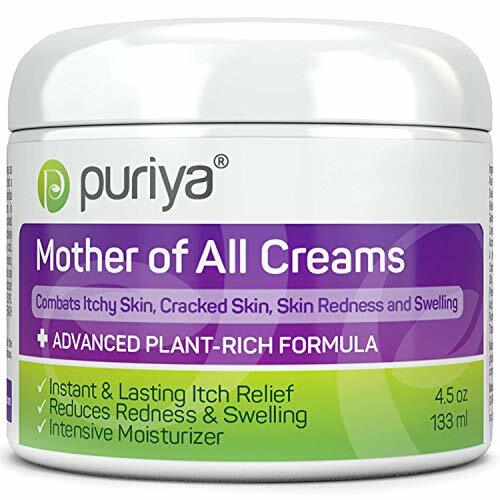 Puriya Mother of All Creams is the name of a multi-purpose formula, specially developed for patients with extremely dry, scaly, irritated skin. The ointment is getting more and more popular among patients with SD, eczema, psoriasis, lichen planus and other conditions related to the above-mentioned symptoms. Note that the formula is not recommended for patients with allergies to chamomile or related plants like ragweed, chrysanthemums, marigolds, or daisies. Read the Puriya Mother of All Creams detailed review here. If you are looking for something unpretentious and affordable, yet effective, Seborrheic Dermatitis Cream (2 oz) by pHat 5.5 may be a suitable option for you. In brief: you get all the benefits Manuka Honey, Hemp extract, Aloe Vera, Coconut Oil, and other natural ingredients provide for the skin for less than $20. 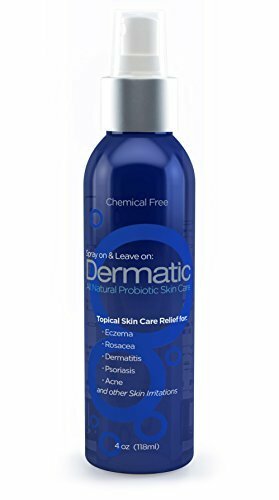 This dermatitis cream is specially formulated for seborrhoea sufferers, at ph 5.5, which is exactly the same as your skin pH. This means that the cream will not provoke any sort of skin irritations, even for those with increased skin sensitivity. This unscented, paraben-free seborrheic dermatitis cream is preferred by many SD patients, as it is gentle to the skin, yet effective and suitable for all body parts (face, scalp, neck, back, ears etc.). When applied properly, this product prevents further breakouts and is a successful alternative to the expensive corticosteroid treatment. The rich ingredients list is well received by patients – most of them left encouraging reviews, as they are satisfied with the formula and do not need additional treatment. The container is enough for a prolonged application, which is another positive feature of the seborrheic creams. Many patients claim that they have been using this exact formula for years and are still satisfied with the effect. Read our Seborrheic Dermatitis Cream (2 oz) by pHat 5.5 detailed review here. Dermoscribe seborrheic dermatitis creams are specially developed for the reduction of the symptoms, associated with the inflammatory condition. They are both dermatologically tested and FDA approved, which makes it a safe option for all patients. The active ingredients – Sulfur (3%), Hydrocortisone (1%) and Salicylic Acid (3%) work in combination, providing strong anti-inflammatory properties, helping improve the overall appearance of the skin. Unlike other seborrheic creams, this one is safe to use for a prolonged period of time. It is available without a prescription and should be applied twice a day. The positive effect can be immediately observed, and, according to patents’ reviews, Dermoscribe does visibly improve the condition of the skin within a very short time. 3-4 days are perfectly enough in case you suffer moderate SD symptoms but you will need at least a month if you have a more severe skin condition. According to patients, this is the most effective cream if it comes to mild to moderate seborrhoea. Unfortunately, this seborrheic dermatitis cream does not provide long-lasting relief, so it should be reapplied on daily basis. Relief can only be expected while applying the cream. Another negative aspect is the smell of the product – according to the comments available, it is quite unpleasant. This is due to the fact that there are no added fragrances, as such often provoke negative skin reactions. 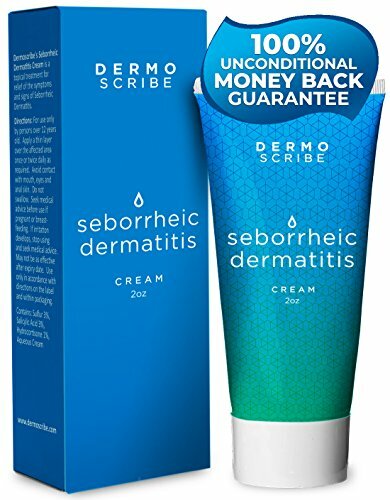 Read our Dermoscribe Seborrheic Dermatitis Cream detailed review here. 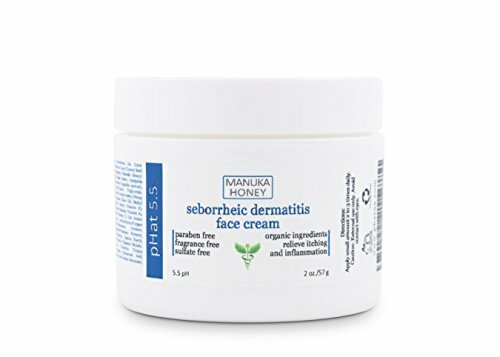 This topical seborrheic dermatitis cream will maintain control of seborrhoea symptoms, including itching, flaking, and redness. It has a proven beneficial effect on mild, moderate and severe forms of the condition. It successfully relieves swelling, itching, and redness, associated with seborrhoea. 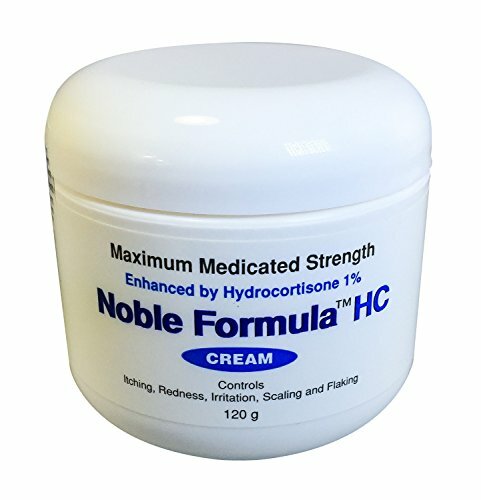 Noble formula is enhanced with Hydrocortisone , an ingredient, generally used to reduce skin inflammation and control the symptoms, associated with seborrheic dermatitis, Prithione Zinc  is a potent antidandruff ingredient, which is also proven to reduce sebum secretion. This seborrheic cream can be applied topically up to 3 times a day. 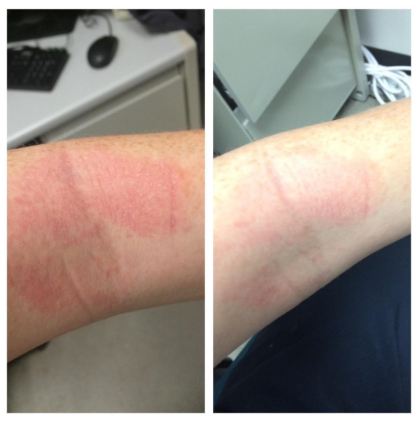 Comments are indeed positive – most patients experienced immediate relief right after the initial application of the Noble Formula dermatitis cream. What is more, people tend to apply the cream on the areas affected for about a couple days, then (after the skin healed completely), discontinued the use of Noble Formula until the next flare-up (usually, after a couple of weeks). 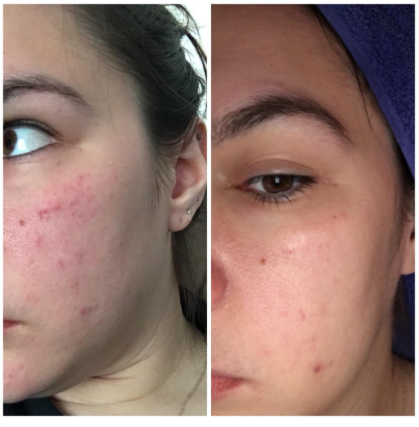 I see a nice difference 24 hours after the first application but I need to continue daily for a 3 or 4 days for a better result. Then I stop using this cream for a few weeks until I need it again. 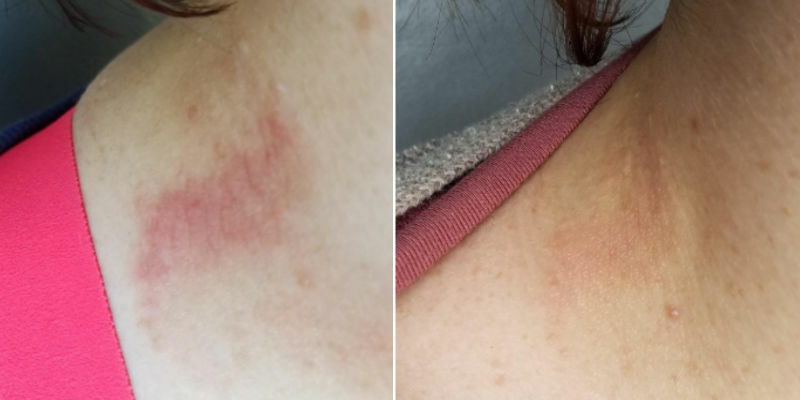 The very fact that all the consequences of seborrheic dermatitis are serious and quite noticeable and about 75% of those who purchased Noble Formula are satisfied with the healing effect and immediate results, is indeed promising. According to patients, this seborrheic dermatitis cream can be safely applied to the scalp area (however, this was not mentioned in the product description, so keep that in mind). Read our Noble Formula Cream detailed review here. “Spray on and leave on” – this topical spray, providing 100 mln CFU of live probiotics, is supposed to eliminate bad bacteria from your skin surface for up to 72 hours. The product can be easily applied, does not contain chemicals or alcohol. According to the description, it won’t leave an unpleasant smell after the application. Dermatic should be applied 1-2 times a day (or according to your needs). The formula is also safe for sensitive areas, such as the eyes, ears, and face. Within a few days, the patches begin coming off. We have been using the product for about 6 days. The results shown were after 5 days. The only ingredients in Dermatic seborrheic dermatitis medicine are lactobacillus rhamnosus and water. Lactobacillus rhamnosus is known to alleviate allergies and have a positive impact on the symptoms of seborrheic dermatitis. Dermatic is very suitable for those who don’t like the thick consistency of cream formulas. This spray is supposed to provide an immediate improvement for the itching but you may need 10-14 days if your condition is more serious. Seborrheic dermatitis patients also report positive results as regards to the flaking. But the truth is that not everyone is satisfied with the effect of the spray. About half of those who gave it a try have no intentions to reorder. Read our Dermatic detailed review here. Medline company offers a wide range of skincare solutions, helping to maintain skin integrity and reduce all sorts of skin irritations. Their specialized seborrheic dermatitis cream, Medline Remedy with Olivamine is developed to nourish the dry, chapped and irritated skin. This formula contains Dimethicone White Petrolatum (50%) – a potent skin protectant agent, which is generally considered nonirritating to the skin. It has a proven healing effect on the irritated skin. When applied topically, Medline seborrheic dermatitis cream is one of the most effective creams on the market: it successfully stops the itching and redness, provoked by seborrhoea, while it also provides a deep moisturizing effect. The price of this topical ointment is considerably lower, compared to most seborrheic dermatitis creams available. This formula is suitable for the face, hands, body, and legs (note that it may leave a pink residue on the skin, as the consistency of the cream is very thick). Medline Remedy with Olivamine performs extremely well – more than 90% of all seborrheic dermatitis patients ranked it an excellent product. Comments say that this formula does protect the skin from external irritants. There are also people who use Medline Remedy on their babies and are impressively satisfied with the effect on the most sensitive skin, some even consider it the best seborrheic dermatitis cream out there. The ‘lovely smell’ is another positive aspect that shouldn’t be neglected. Medline Remedy is often used in hospitals because of the multiple (tested and proven) benefits and regenerative effects it provides on the skin. Can seborrheic dermatitis be treated? Seborrheic Dermatitis is a chronic skin disease, which cannot be completely eliminated. However, there are various ways to control the symptoms. They focus on loosening scale, reducing inflammation and swelling, and curbing itch. In less severe cases, a topical antifungal cream or medicated shampoo (such as ketoconazole, selenium sulfide, coal tar, and zinc pyrithione) may be enough to control these symptoms. Seborrheic dermatitis is a common skin condition, where your skin is essentially attacking itself. Your body and your immune system ‘start thinking’ there is something wrong that needs to be fixed, this resulting in inflammation. So, immunosuppressants stop your immune system from inflaming your skin and they are usually prescribed (by doctors) for the temporary improvement of the symptoms. Additionally, since the condition affects the skin (on the body, the face, and the scalp), multiple seborrheic dermatitis creams are available on the market, aiming to alleviate the disturbing symptoms (skin flaking, dandruff, redness, itching, inflammation). Can homeopathy cure seborrheic dermatitis? The simple answer is no. We have checked various sources (including clinics and homeopathic doctors), offering homeopathic variations for the treatment of seborrheic dermatitis. However, any of the options available is not supported by proven clinical data, so we cannot acknowledge whether homeopathic treatment will be effective for seborrheic dermatitis management. How long does the seborrheic dermatitis treatment take? For mild cases, the visible improvement may be noticed within 2-3 days. The more severe cases usually require prolonged treatment periods until the skin recovers completely. Is hydrocortisone good for seborrhea? Yes. For acute forms of seborrhoeic dermatitis, topical corticosteroids may be used at the beginning of the treatment alone or in combination with an antimycotic agent to limit inflammation. 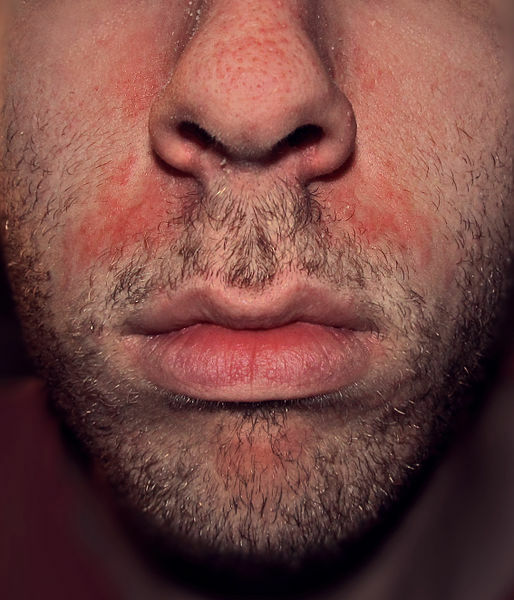 Prolonged or frequent use of corticosteroids should be avoided due to their well-known side effects (atrophy, telangiectasia, hypertrichosis, dyschromia, oral dermatitis, etc.). In a double-blind controlled study, 70 patients with seborrhoeic dermatitis were treated with a combination of miconazole 2% and hydrocortisone 1%, only 2% of miconazole or only 1% of hydrocortisone. 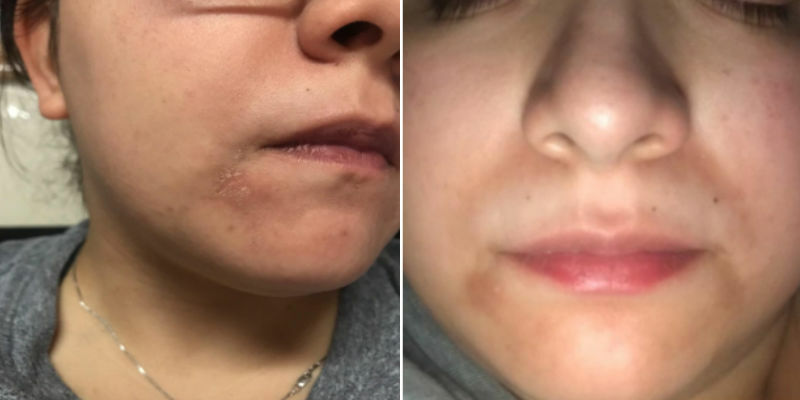 Patients in the two miconazole administration groups showed significant improvement compared to those receiving hydrocortisone cream 1% as prophylactic therapy. Myconazole treatments also result in a reduction in Malassezia yeast. Double-blind comparative studies also demonstrate that hydrocortisone seborrheic dermatitis cream is not more effective than cream with 2% ketoconazole content in improving the symptoms of seborrhoea. Considerable reductions in the number of yeast Malassezia have been observed with ketoconazole compared to hydrocortisone. Gel foam with 2% ketoconazole is more effective than lotion, containing 0.05% betamethasone dipropionate. The best way to relieve seborrheic dermatitis symptoms is preventing or controlling the provocative factors by using proven treatment methods, while always paying attention to your skin condition. I battled SD for 6 long years. Went to 3 different dermatologists and they could only give me medicines that either didn’t work or just masked the symptoms. Nothing was ever done to try and eliminate it. I had a pretty serious injury to one of my arms where I lost some blood. 2 days later my face was clear. Figured that my body sent immunity to fight injury and away from the auto-immune attack on my face and hair follicles. Decided to see if donating a pint of blood might help me. Since donating blood every 56 days, my SD is completely gone! It is free and you also get other benefits of blood donation (lower cardio and stroke risks). I encourage anyone who has been struggling with SD to try and donate blood and see what happens! Thanks for sharing your experience, Chris! Donating blood is a great way to 1. help people in need 2. boost your own immunity, so we highly recommend it! It is great to know you successfully managed to eliminate the SD symptoms!